Pelikan th.ink is one of pens which Pelikan mostly designed for young people. 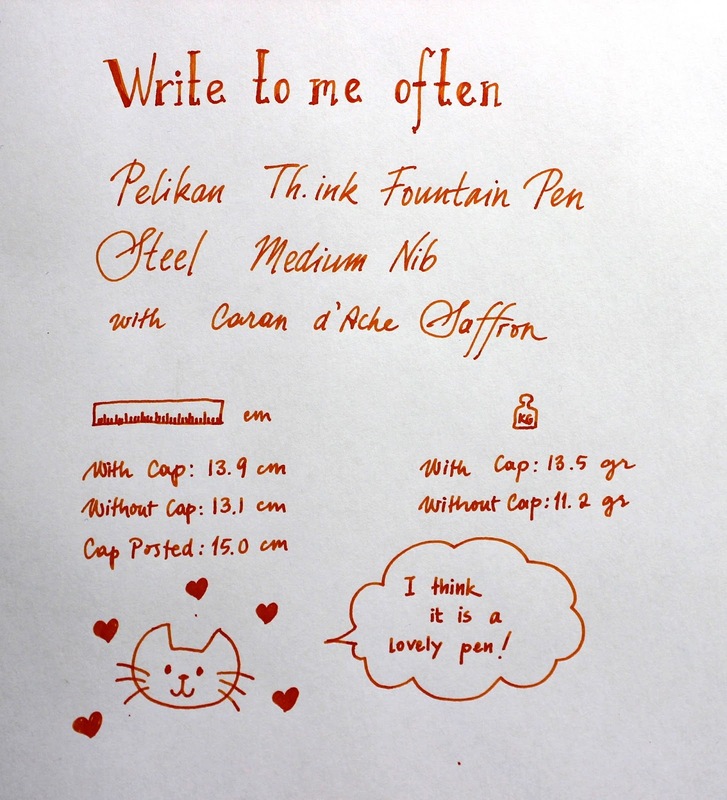 Previously, I wrote a lot about Pelikan Pelikano pens as you might remember. The most important element that th.ink differs from Pelikano pens is, its revolutionary design. This pen appeared at one of the Currently Inked posts before. Maybe you remember it. Pelikan th.ink has a classic Pelikano steel nib and very light-weighted. It gives a smooth, easy writing like its predecessor, Pelikano. I guess, I can surely say that Pelikan never upsets. 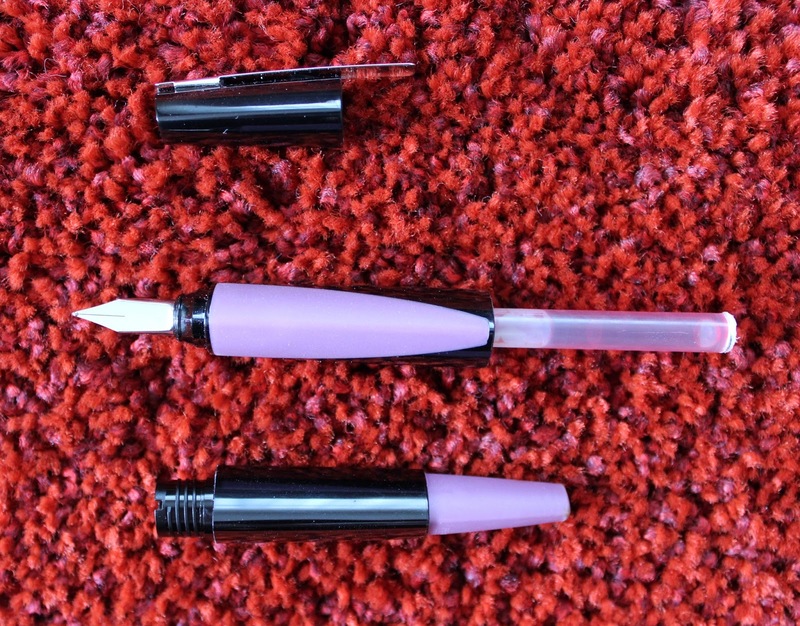 Black parts of the pen is made of hard plastic and the purple parts are made of a rubber-like soft plastic. I know, some people do not enjoy the triangular design, however I think grip section eases the writing periods. However, cap is a bit hard to open but I think it might get looser due to the usage. Pen works with two short cartridges or one big Pelikan cartridge. So, you can have a reliable friend for long writing sessions. You have to unscrew the body from the middle in order to put or change the cartridge. This is a bit unusual. But I think, Pelikan intentionally choose this design just to improve the comfort of grip section. What do you think about triangular pens?